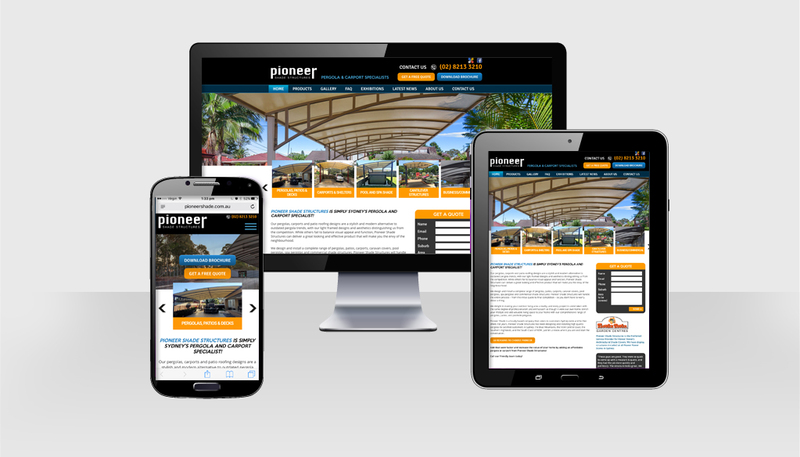 Pioneer Shades were seeking to update their existing website quickly and affordably. The client had a very clear direction in mind and HMD was briefed to deliver. 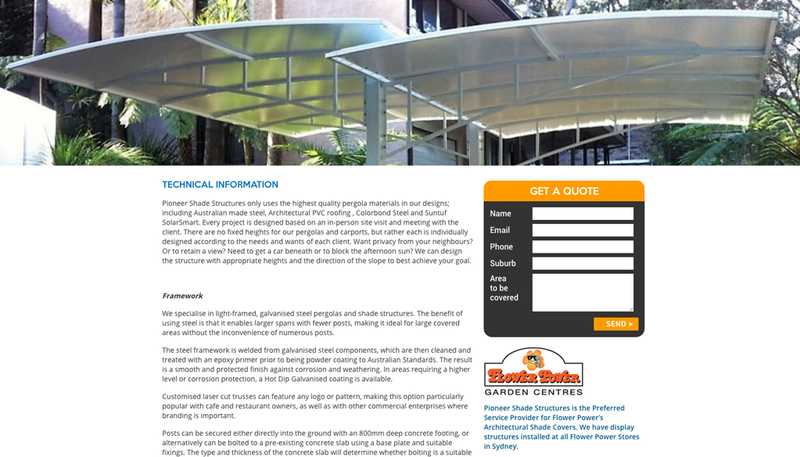 The website is used as a portfolio and brochure style resource to showcase product offering, so the focus was placed on showing key product offerings clearly. Working with an existing brand style, HMD produced an easy to update responsive WordPress website for the client with a focus on engagement and conversion. 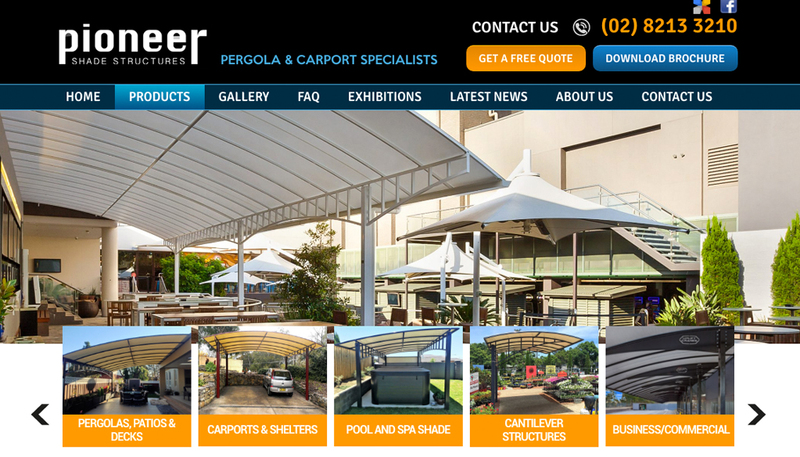 We are also doing an SEO campaign for the client where we are optimising the keywords Carport Pergolas & their main keyword Pergolas.